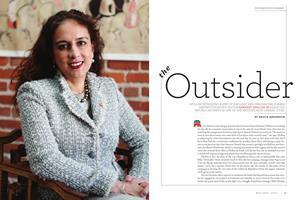 With an intriguing blend of ideology and pragmatism, former Dartmouth Review editor Harmeet Dhillon ’89 leads the Republican party in one of the nation’s most liberal cities. 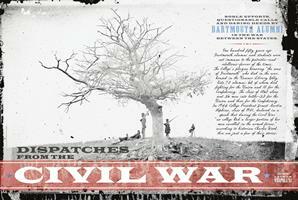 Noble efforts, questionable calls and daring deeds by Dartmouth alumni in the War Between the States. 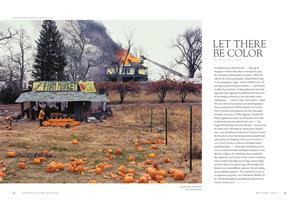 For accidental farmer Chuck Wooster ’89, raising crops on his 100 acres in Vermont is all about cultivating community. He had wealth, ambition and the right name. The only thing Governor and Vice President Nelson Rockefeller ’30 needed was a little help from his college chums. Tanner Glass ’07 shoots, skates and brawls his way through an abbreviated NHL season. Appeal to the Great Spirit by Cyrus Dallin has stood as the cast bronze centerpiece of Baker Library’s Tower Room since Leslie Snow, class of 1886, gave it to the College in 1928. It’s well known that Dartmouth annually finishes atop the “Best Schools for Undergraduate Teaching” in U.S. News & World Report. But do you know where the College ranks in “hotness” or where it stands on the stress meter? Here's a sampling of recent rankings in a variety of areas. Known as “Americas Doctor,” the great Dr. C. Everett Koop ’37 died at home in Hanover in February at age 96.